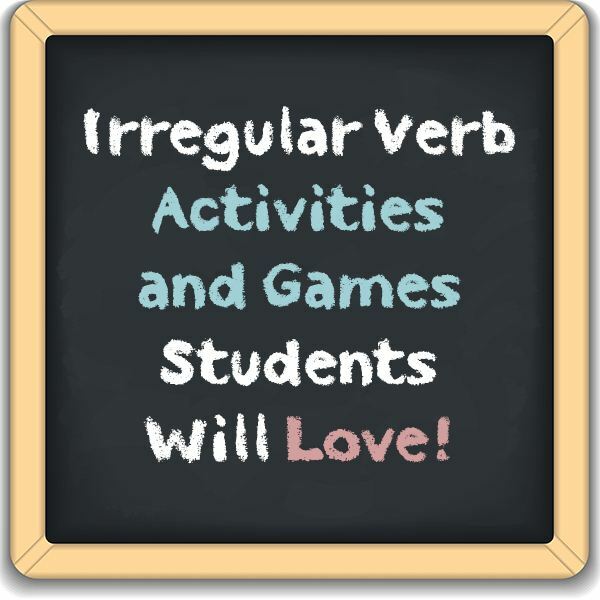 Elementary students often have trouble when they begin learning about irregular verbs. Students have already programmed their mind to understand regular verbs and sometimes they get stuck in this step. This is why it is so important to incorporate as many irregular verb activities for the third grade as possible. Third graders may have gathered that in order to express a verb in the past tense, they simply add “ed” (example: jump – jumped). While this principle works for regular verbs, it does not fit with irregular verbs. Mastering irregular verbs requires a completely different style of learning. As a teacher, one of the most important skills to have is to be able to make everything a game. There are many different formats of games that can be used for most any subject matter. The possibilities are endless. Here are some great games and activities for your third graders. This is a great activity to add to your bag of tricks. You can make any lesson fun by making it a competitive trivia came similar to the TV show. It works great for teaching irregular verbs because it challenges students to be able to identify and connect the base tense of a word to the simple past tense and the past participle. For more information and detailed instructions on the game, you can refer to the free Let’s Play Jeopardy lesson plan. This is another classic activity that can be used to teach irregular verbs to third graders. In this activity, students will be challenged to find the base tense, simple past tense and past participle of each word. This will help your students begin connecting and memorizing each irregular verb. The idea is to write out several words on cards making a separate card for both their past tense and their past participle. Then shuffle the cards and lay them face down for students to complete the matching game. Students must match all three tenses. For help creating the activity, be sure to check out a list of common irregular verbs. It is a great idea to teach third grade proofreading skills in conjunction with learning about irregular verbs and other grammar lessons such as teaching prepositions. To do this activity, simply create a small story leaving common errors associated with irregular verbs. Make a game out of it by having each student write down as many errors as they can and correct them. You can either use these as bonus points on an upcoming test or reward the student who finds and corrects the most errors. Relay races are always a huge success with third graders. In this activity, have students divide up in to two or three teams (depending on class size). Each team will be presented with a base word and they will take turns coming up to the board to write in the simple past tense and the past participle. After each team completes one set, they are given a point and a new base word. The teams keep playing for an allotted period of time and the team with the most points wins.